Spring has officially sprung and after months of rain and cold weather, it’s time to get on the internet and start booking your summer holiday. 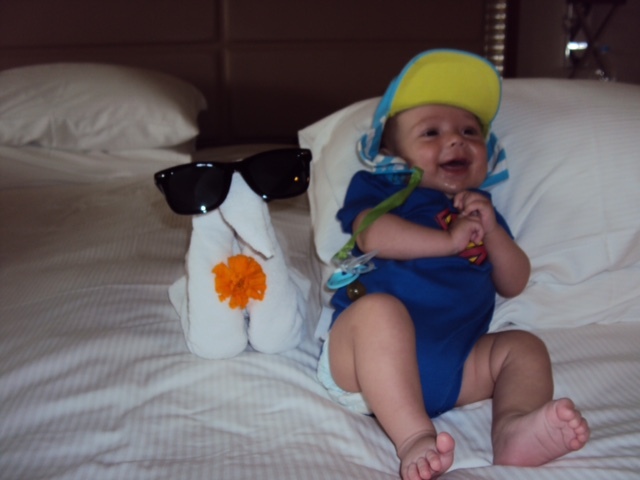 We as a family have tried having staycations in the UK & self-catering in Europe but the break that suits are needs the best is the all-inclusive holiday.I can’t wait to take Charley to Greece this summer and to experience the total relaxation that is the all-inclusive holiday. Harry is looking forward to joining in with the kids club and Lee is looking forward to having a beer in one hand and his Kindle in the other. 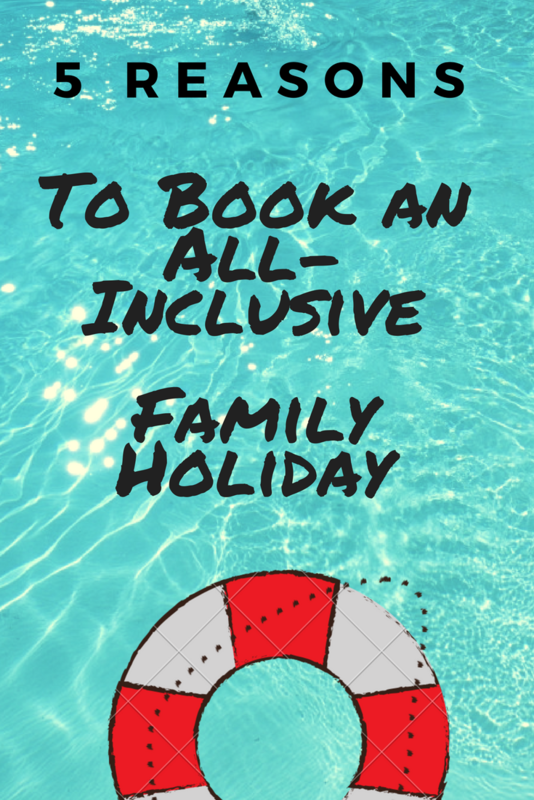 Me & Charley will be floating around in the pool enjoying the warm Mediterranean sun.So here’s my 5 reasons you should make your next family holiday an all-inclusive one. The accommodation at all-inclusive reports is always 5*. With a 5-year-old and an 18-month-old, you need space and every resort we have ever stayed in has been big enough for a family of 6. Depending on when you travel you are always pretty much guaranteed an upgrade too.Our rooms have always come with a well stocked complimentary mini bar and a daily selection of snacks delivered each afternoon.It’s the little extra’s that make life so simple at an all-inclusive resort. Gone are the days of cafeteria style, piled it up high cheap crappy food. Most dishes wouldn’t look out of in Michelin starred restaurant. With a selection of different restaurants to choose from and fresh snacks available all day even the fussiest of eaters will find themselves well catered for. Little mouths will find lots of healthy(ish) treats and if like me you are at the weaning stage with your baby there is always a helpful chef who is happy to whip up a sweet potato puree for you or make a simple tomato sauce for spaghetti. Now I can’t talk about an all-inclusive holiday without mentioning alcohol. Whether we like to admit it or not we all enjoy a few cheeky vodkas on our holibobs and when you have a roller skating waitress looking after your every whim it definitely add’s to the whole holiday experience.It’s not all about the alcohol but after a long day on the beach with 2 kids there is no better thing to do then stick them in the double buggy for a sleep and enjoying an ice cold glass of wine with your partner (your all day dreaming now aren’t you ). If like me you have a husband who loves Jet-Skiing or children that like to go on the pedalos then a week’s worth of activities can soon add up.With an all-inclusive holiday, a large selection of water sports are free and can be booked as many times as you like.If you are lucky you may find the resort has a spa and daily treatments are included. With all your toiletries and towels delivered daily to your room, all you need to pack is the toothbrushes, suncream and something to wear around the pool. Night times are always relaxed so a couple of pairs of flat strappy sandals and 2-3 maxi dresses will see you through your entire holiday.You may need a few more bits and bobs for the kids so here’s my Top 10 Travelling With Kids Essentials to help you out. I hope you have enjoyed reading my post today and it has given you some inspiration to book your next holiday. As always leave me some comments below and let me know what your favourite type of holiday is. "The Smell Of Freshly Baked Bread"
"Ultimate Mother’s Day Gift Guide"
I’d love to do an all inclusive holiday, but unfortunately they will require a lot of saving for us 🙁 So cheap getaways for now, and saving for something more exotic 🙂 These are certainly all good reasons!